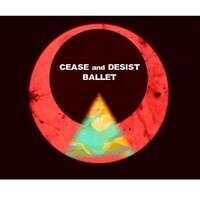 On March 28, WTMD is thrilled to host Act 1 of "Cease & Desist Ballet" (formerly called “A--- P--- Ballet”). It's one of the most unique and exciting performances to emerge from Baltimore's award-winning music and theater scenes. Conceived by the Baltimore arts collective Afro House, "Cease & Desist Ballet" has been earning rave reviews in Baltimore. There's nothing else quite like it. You don't want to miss this show. Tickets are available here. Cease & Desist Ballet is an Afrofuturistic opera-ballet. Set years into the future, the story delves into the world of two sisters unable to agree on how to handle the catastrophic consequences of a decision made by their late father. Levi, a brilliant military scientist, with a unique spiritual knowledge of space and time creates a second sun. The unprecedented devastation of his sun brings the nation’s inhabitants near extinction. Levi’s unwillingness to face the realities of his creation, leaves his eldest daughter and successor, Corfaszia, to restore order to the land. Jakub, the younger of the two daughters, with a deep connection to the spirit world, is forced into exile. "Cease & Desist Ballet" is an exploration of the crossroads between African spirituality, mathematics, and physics, poetically weaving “time and space” within the movement and music. Inspired by the experience of spiritual possession in the black southern gospel tradition and similar experiences within the Afro Punk Movement, this piece utilizes a soundscape that encompasses the styles of punk music, 20th century French music, and southern gospel music. With contemporary ballet’s use of abstraction, the world of Cease & Desist Ballet is futuristic and mythical. By using the grandeur of opera and ballet, this piece strives to tell an epic story that challenges popular notions of heroism, morality and futurism. Sponsored in part by Flying Dog Brewery, Boordy Vineyards and Cunningham's.